As oil prices reach record highs, we hear renewed interest in doing something, such as drilling in ANWR (Arctic National Wildlife Refuge) or reopening coastal drilling. What should we do? It seems Big Oil can't get enough! Did you know that oil companies are already sitting on 68 million acres of leases that they aren't even drilling? Which kind of makes you wonder: Why are Big Oil and its allies suddenly desperate to get their hands on the last few places that are still protected -- our natural treasures, wildlife refuges, and pristine coastlines? They wouldn't use the concerns caused by high gas prices as an excuse to grab it ALL, would they? Thank you Speaker Pelosi for keeping a cool head and holding out for real solutions! projected to increase domestic crude oil production starting in 2018, estimated at reaches 780,000 barrels per day in 2027 and then declines to 710,000 barrels per day in 2030. Decreases import dependency by 2% at the peak. In 1998, the USGS estimated that between 5.7 and 16.0 billion barrels of technically recoverable oil are in the coastal plain area of ANWR. 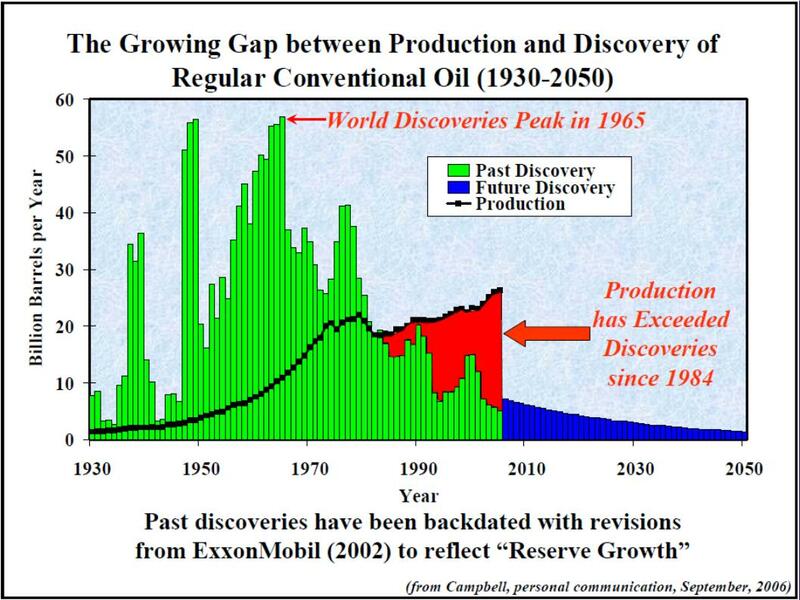 In comparison, the estimated volume of undiscovered, technically recoverable oil in the rest of the United States is about 120 billion barrels. Thus, ANWR represents about 10% of the oil reserves in the US. The Organization of Petroleum Exporting Countries (OPEC) could neutralize any potential price impact of ANWR oil production by reducing its oil exports. The fact is that we can almost immediately improve our situation by far more than 10% by taking low-efficiency vehicles off the road. Going from 20 mpg to 30 mpg is a 50% improvement. Even taking the average from 20 mpg to 22 mpg makes up for all the oil from ANWR, if indeed it would provide 10% of the supply, and it does it with the same balance of trade improvements (of course, it would be nice if the US automakers had some decent hybrids, which they actively killed, along with the EV-1 electric car to allow them to introduce the Hummer). By not buying the oil at all (or using up our precious and limited natural resources) we preserve the wealth of our economy and our nation. We can do far more, faster, by conserving, esp. since it will be 2018 before any ANWR oil comes on line. By conserving, more oil will remain on the market and then prices "should" fall. Of course, it also has the added benefit that we would be producing fewer emissions, and even for climate-change nay-sayers like yourself, I'm sure you can appreciate the idea that less pollution is better. the average fuel economy of the cars and trucks on the road is at a twenty-one year low! The demands for developing ANWR are ridiculous, esp. when we haven't done anything to improve fleet efficiency. It's like a homeowner complaining about heating costs but not installing any insulation, and then leaving the windows open, while demanding that the temp is a sweltering 81 in the house. Automakers have the technology today to produce a fleet of cars and light trucks that averages 40 mpg. The modest increase in sticker prices will be more than offset by the fuel savings. On average, drivers will save more than $2,200 over the lifetime of the vehicle. California-has moved forward, establishing or tightening GHG or fuel economy standards." achieved separately by cars and light trucks. Drilling for oil in the Arctic National Wildlife Refuge and other special places would not curb our dependence on foreign oil. The U.S. holds only 3 percent of the world's oil reserves and uses 25 percent of the world's produced oil. Persian Gulf countries hold over 65 percent of the world's oil reserves. The total projected yield from the Arctic Refuge would increase world oil reserves by less than one-third of 1 percent. Opening the Arctic Refuge today would not produce oil until at least 2010 and, based on the current rate of consumption, would yield only a sixmonth supply of oil over 50 years. Phasing in a fleet wide fuel economy standard of 40 mpg by 2012 would save more oil in the next dozen years than the total projected yield from the Arctic Refuge. The Arctic Refuge would only reduce U.S. imports from 64 percent to 62 percent in 2020. Domestic oil production is expensive. While it costs deepwater drillers like Exxon Mobil or Conoco roughly $6 to $8 to produce a barrel in the Gulf of Mexico or the North Sea, producing oil in Saudi Arabia or Kuwait costs a fraction of that-$1 a barrel or less. Increasing domestic oil production would not protect the U.S. from price spikes because there are no regional markets for oil, only global. If world oil prices spike, so do domestic oil prices. Domestic oil infrastructure is itself vulnerable to terrorism, as illustrated by the effects of a single bullet shot into the trans-Alaska pipeline, which caused a spill of 6,800 barrels or 285,600 gallons of oil. A more concerted effort could easily disrupt domestic supplies and have serious economic impacts. Raising fuel economy standards is the most effective way to reduce overall oil dependence. Cars and light trucks account for 40 percent of U.S oil use-8 mbd. Raising fuel economy standards for new cars, SUVs and other light trucks to an average of 40 mpg over the next 10 years will save nearly 2 mbd in 2012 and nearly 4 mbd by the end of the next decade. This is more oil than current imports from the Persian Gulf and the projected yield from the Arctic Refuge, combined. Raising fuel economy standards for cars and light trucks to 40 mpg over the next decade would yield cumulative oil savings of 3 billion barrels by 2012 and more than 12 billion barrels by 2020. Fixing this broken market is the fastest, cheapest way to deal with the problem, with immediate returns to the economy. ANWR is an important wildlife refuge that should be preserved, esp. since we are currently at a 21-year low in terms of fleet efficiency. Conservation must be our first order of business. Developing ANWR without having completed a massive improvement in our conservation would be quite unethical, as the technology is available to improve our efficiency far more than 10%, and that is the same as the contribution by ANWR. The same argument is true for the coastal drilling proposals. Unfortunately, President Bush's plan completely neglected conservation as an element in our Energy Policy. Project Description Consideration of various approaches to solving fossil fuel addiction.